Mersadie Jackson, 22, of Job Road in Standish, on March 25 on charges of unlawful trafficking in scheduled drugs, violating bail condition of release and unlawful possession of scheduled drug, on Cumberland Street. William R. Lanigan, 45, of Summit Circle in Kennebunk, on March 26 on a two warrants and charges of operating registered motor vehicle (resident more than 150 days), operating while license is suspended or revoked (three priors) and operating without a licence (resident more than 90 days), on Bridgton Road. Michael A. Blodgett, 41, of Kings Street in Westbrook, on March 27 on a charge of violating condition of release, on Brown Street. Billie Jo Burgess, 44, of Lamb Street in Westbrook, on March 27 on a warrant on Lamb Street. Elizabeth Selberg-Stross, 29, of Falmouth Road in Windham, on March 27 on a warrant and a charge of operating after license suspension, near Bridgton Road and Farm Lake Drive. Karen J. Curran, 44, of Saco Street in Westbrook, on March 27 on a warrant, on Main Street. Ernest John Valladares, 38, of Milton Lane in Mechanic Falls, on March 27 on a charge of operating after habitual offender revocation (with prior), near Main and Forest streets. Jonathan S. Woods, 23, of River Road in Windham, on March 28 on a charge of operating while under the influence (alcohol), on Cumberland Street. Matthew L. Balben, 41, of High Street in Westbrook, on March 29 on a charge of operating after habitual offender revocation (with prior), on Hannaford Drive. Bojan Mitrovic, 31, of Juniper Lane in Westbrook, on March 29 on a charge of domestic violence assault, on Juniper Lane. Ryan Joslin, 37, of Main Street in Westbrook, on March 30 on charges of violating condition of release and unlawful possession of scheduled drug, on Main Street. William J. Wilcox, 49, of Central Street in Westbrook, on March 30 on a warrant, on Saco Street. Bojan Mitrovic, 31, of Juniper Lane in Westbrook, on March 31 on a charge of domestic violence assault, on Juniper Lane. Robert J. Berry, 47, of Lincoln Street in South Portland, on March 31 on charges of unlawful possession of scheduled drug and violating condition of release, on Brookwest Lane. Eric L. Dorf, 40, of Austin Street in Westbrook, on March 31 on charges of violating condition of release, attaching false plates and two counts of possession of scheduled drug, and Matthew Christoper Pike, 23, of School Street in South Portland on to counts of unlawful possession of scheduled drug, unlawful possession of methamphetamine and unlawful possession of fentanyl powder, near Westbrook Arterial and Forest Street. Oliver Kai, 18, of Reed Street in Westbrook, on March 31 on a warrant, on Main Street. Edward H. Lecours III, 53, of Bayview Road in Saco, on March 25 on charges of operating while license is suspended or revoked and violating condition of release, on Riverside Street in Portland. Frederick L. Farrell, 39, of Hill Street in South Portland, on March 25 on a charge of unlawful possession of scheduled drug, near Bridge and Lyman streets. Andrew M. Ettinger, 34, of Monroe Avenue in Westbrook, on March 25 on a charge of unlawful possession of scheduled drug, and Krysandra Twitty, 27, of Lincoln Street in Westbrook on a charge of unlawful possession of scheduled drug, on Cumberland Street. Jennie M. Greene, 41, of Manchester Road in Steep Falls, on March 27 on a charge of operating while license is suspended or revoked, near Cumberland Street and Warren Avenue. Matthew Richard Garland, 41, of Sherman Street in Portland, on March 28 on a charge of failure to register a motor vehicle, on Bridgton Road. Wanda Brochu, 78, of Wadsworth Avenue in Westbrook, on March 28 on a charge of disorderly conduct (offensive words or gestures), on Wadsworth Avenue. 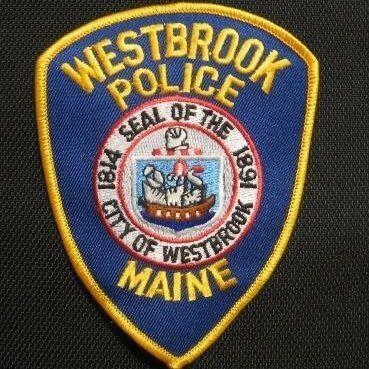 Jovenkie Meresse, 22, of Washington Avenue in Old Orchard Beach, on March 29 on a charge of operating with suspended registration, near Spring Street and Landing Road. Robert R. Cooper, 64, of Eisenhower Drive in Westbrook, on March 29 on a charge of operating an unregistered motor vehicle, (resident more than 150 days) on County Road. Thomas M. Kostopoulos, 20, of Spring Street in Westbrook, on March 30 on a charge of operating an unregistered motor vehicle (resident more than 90 days), on Main Street. Brittany Marie Parker, 30, of Brand Road in Westbrook, on March 31 on charges of attaching false plates and violating condition of release, on Bridgton Road.